Canadians are proud of their citizenship and the status, rights, and freedoms that it provides. Immigration, Refugees and Citizenship Canada (IRCC) is the federal department that manages Canadian citizenship, both for those applying for citizenship and for current Canadian citizens. Since 2010, Canada has welcomed an average of more than 260,000 permanent residents each year. Many of these newcomers are in the process of becoming Canadian citizens, and many more will apply for Canadian citizenship in the future. When that process is complete, they take loyalty oaths pledging their commitment to the responsibilities and privileges of Canadian citizenship. Recent changes mean that you may be able to apply for Canadian citizenship sooner than previously. When can you apply? Find out! A Canadian immigrant may apply for Canadian Citizenship after spending at least three years in Canada as a permanent resident. Do you meet the requirements for Canadian citizenship? Read more. 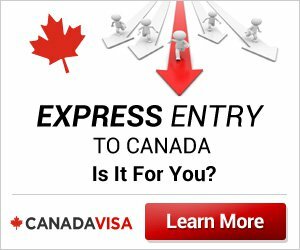 You will need to satisfy several requirements to submit a Canadian citizenship application, and may then need to take a Canadian citizenship test. Learn more about the process. Read more. Once you are approved as a Canadian citizen, you can attend a Citizenship Ceremony to take Canada's Oath of Citizenship. What's the Citizenship Ceremony like? Read more. Canadian permanent residents enjoy many, but not all, of the rights of Canadian citizens. Learn the additional rights that you will have as a Canadian citizen. Read more. Canada recognizes dual citizenship. You are not required by Canada to give up your previous citizenship once you become a Canadian citizen. How does this work? Read more. Contact us with any question(s) concerning Canadian citizenship requirements and applications.